China is in position to be the next center of international music deals, according to a profile in the Financial Times (paywall). The publication cited data from iResearch claiming that China could see its paid online music market grow 59% this year, reaching about 3 billion renminbi ($455 million). 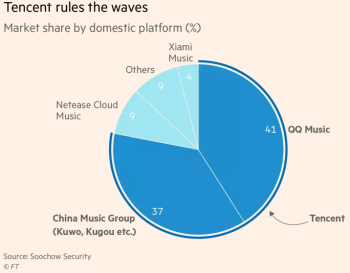 Tencent was responsible for 78% of the Chinese market in 2016, and that dominance has allowed the conglomerate to secure licensing and copyright deals with several of the larger western music businesses. However, the exclusivity of those deals and the vast majority of the market controlled by Tencent have drawn some scrutiny from the government. 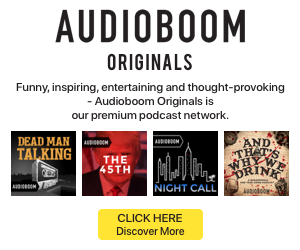 In September, China’s National Copyright Administration called for an end to exclusive deals in favor of more competition. “It’s not normal to give a whole copyright pool exclusively to a single platform,” said Duan Yupin, an NCAC official, in an interview with People’s Daily last month. Especially with Tencent rumored to be spinning off its music branch, the situation of music rights is of great interest to many international players.